Eight witnesses have already testified in a matter in which career conman Alister âTombstoneâ Smith has been charged with 29 counts of deception. First to take the stand was James Bobb, a businessman of Mt Grenan. Bobb, who operates a blockmaking and trucking business told the court that on May 9, 2015, at about 9:30 am, he was at his office when he received a telephone from a woman who gave her name as ‘Miss Williams’ from the Housing and Land Development Corporation (HLDC). Bobb said he regularly conducts business with the HLDC, so when he was asked to deliver a quantity of blocks to persons in Sandy Bay, he thought it was business as usual. “She asked me to drop off some blocks at Sandy Bay. The person on the phone gave some names of persons and the locations where the blocks were to be delivered,” he said. Bobb further testified that he received another telephone call from the same person, asking that 600 four-inch blocks be delivered to one Joseph Charles at Richland Park. He said transactions were also carried out in June to deliver more blocks to the same persons. However, Bobb said on several occasions, when he tried to call back the number to discuss payment, he got no answer. He then had his secretary contact the HLDC. This was when they were told that no one by the name âMiss Williamsâ worked there. He said materials delivered over the period amounted to over $12,000, but he has not seen any of that money to date. In her testimony, Ave-ann Legair, clerk at Bobb’s business, told the court that when they conduct business with the HLDC, they (the HLDC) would usually send an invoice to deliver blocks to individuals. She noted that some of the transactions included the order of 400 six-inch blocks, 200 four-inch blocks, 600 six-inch blocks, loads of Rabacca sand and bay sand to be delivered to some persons in Sandy Bay and one person in Richland Park. Legair also confirmed that the items were delivered by their two truck drivers to the persons stipulated. “I’m sure they were delivered. Our invoices will go to Housing and not the persons the materials are being delivered to,” Legair said in a response to a question by Smith, who is defending himself in this matter. When he took the witness stand, Joseph Charles, a recipient of blocks over a period of time told the court that on April 27, he was in his farmlands unloading his vehicle when Smith turned up and introduced himself as Pastor Desmond Charles of the Seventh Day Adventist Church. He stated that he worked with the Ministry of Agriculture to assist farmers. Charles said after speaking with Smith a few times, Smith told him that the church was going to help him (Charles) build his house. “I felt glad that I was getting some help to build my house. One day, I just see blocks come by my place and I didn’t ask him (Smith) for any material. “The first set of blocks they brought were 430 and another time they brought 400. He called and asked if I get the blocks. He told me that he was a man of God and that I must not worry,” Charles told the court. He said Smith even told them that they are relatives and from time to time would call to talk about God and pray over the phone. According to Charles, Smith, who told him he lives at Cane Garden, offered to help him get tools for his farm and a pick up truck. “He told me to give him $490 to get some tools. I told him I only have $200 at home. So I went and got it for him,” Charles testified. According to Charles, Smith told him that he was selling a pickup truck he had at the customs because the guy he was going to sell the truck to initially, died. Charles said he expressed interest in the vehicle and Smith told him to give him $1,500 to clear the truck as payment for the vehicle. “I gave him $1,200. He returned on May 4 at my farm and told me he needed $500 for the brokersâ paperwork so I gave him. I actually went to borrow the money to give him,” he said. Sometime after that Charles said he gave Smith $600 for the insurance, a further $600 for the licence, and $90 for the registration plate. Charles never received the vehicle. “Yes! It was the way you come and told me you were a pastor…. I didn’t ask about the vehicle much because I trusted you. You were speaking about God and God,” Charles said. After making a report to the police, Charles said he picked out Smith’s photo after being shown about 10 photographs of different persons. Businessman Kissinger McLean, who also operates a blockmaking and trucking service told the court that on June 5, 2015, he received a telephone from someone by the name of âMiss Johnâ from the HLDC. McLean said Miss John told him that she has a friend by the name of âRichardâ who resides in England and that he would be constructing a hotel in Bequia. “She told me she would put me on to Richard. She said she was going to hang up and let âRichardâ call me,” McLean testified. Moments later, he said he received a telephone call from a person with a male voice who claimed to be Richard. McLean said he was told to check his account to see if the transaction was made, but that was never done. “He told me he is a devout Adventist along with Ms John and that they usually worship together when he comes to St Vincent,” McLean said. After repeated checks at the bank and finding that the alleged money transfer was not forthcoming, McLean said âRichardâ asked a favour of him. “He asked me to make a personal contribution of US$1,500 for his charity to assist with a child of the Seventh Day Adventist Church to do an operation in Barbados. He said he was asking the favour because there were difficulties in transferring the money. 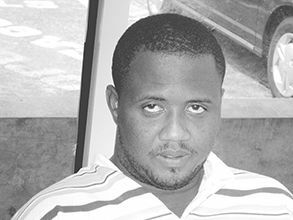 McLean said Miss John telephoned him a short while after and told him to carry the money to a cashier at a gas station at Arnos Vale. “When I got there, I was told by âRichardâ and âMiss Johnâ that a Pastor Charles would receive the money from the cashier there. McLean said over time, âRichardâ called him and asked him about the wire transfer and also asked more favours of him. He said Richard asked to borrow $2,100, $3,000 and $4,000 to pay legal fees on different occasions, while promising him that the wire transfer was still pending and that he would be repaid. According to McLean, every time âRichardâ requested money of him, he went through the same process, whereby âMiss Johnâ would telephone him and ask him to leave the money at the gas station for âPastor Charlesâ to collect. “Richard told me that I don’t have to worry and he will give me back when the money comes through and that he will be coming home in one week’s time and I will get my money back. McLean also testified that âMiss Johnâ had made several orders for blocks to be delivered for persons in Sandy Bay and one in Richland Park for the houses that were being built by the HLDC. McLean testified that to date, he has never set eyes on âMiss Johnâ, âPastor Charlesâ or âRichardâ, nor has he received a cent of the money owed to him, including for the delivery of blocks. The telephone number from which Bobb, Charles and Mclean were called by âMiss Williamsâ and âMiss Johnâ was identical.